On my photo walk on Saturday I stumbled across a protest of two groups protesting against each other. On one side the ALT Right and on the other side anti alt right. 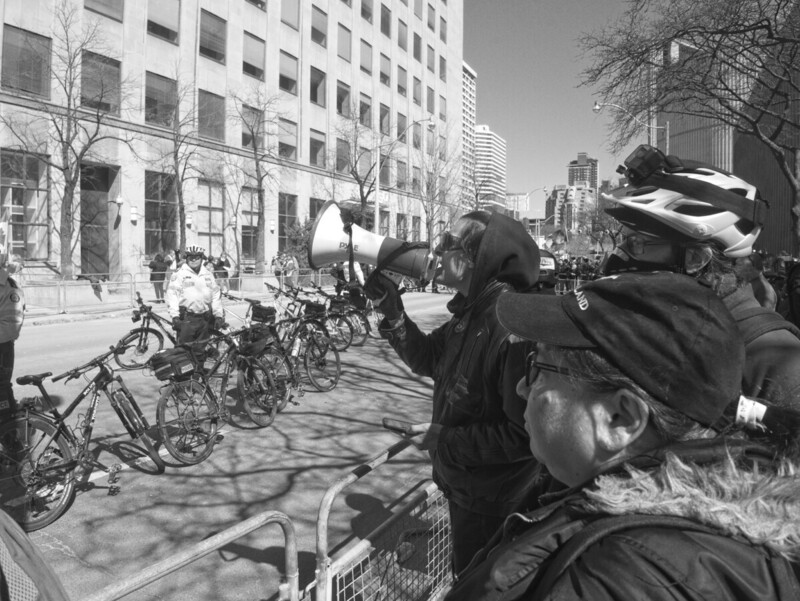 This guy with the bull horn was on the latter side and despite having a bullhorn was continually yelling and his voice was very hoarse.